At Redemption Fight Team we teach a number of martial arts for men, women and children. Whether your goal is self-defense, fitness, competition, bully-proofing your kids or just having fun, we have a great program for you. Family plan discounts are available. The Renzo Gracie Las Vegas BJJ program is run by head instructor Robert Lagasca and overseen by Grandmaster Ricardo Cavalcanti. RFT is a member of the Cavalcanti BJJ Federation which is dedicated to helping underprivileged kids in Fortaleza Brazil through the non-profit Instituto Acao e Reacao. Brazilian Jiu jitsu is the great equalizer. It's THE best martial art for taking athleticism and physical strength, and trump them for Technique. Designed for a smaller, weaker person to successfully preavail against a more aggressive stronger opponent. Whether your interest is in competition, self-defense or fitness, BJJ is a great choice for people of all ages. For kicking and punching, nothing trains your mind and body the way Muay Thai does. With some of the best coaches in the U.S. and worldwide, our Muay Thai will give you the advantage standing up. Our Muay Thai program is overseen by A.J. Turner and Kru Dayel Sitiwatjana, pro boxer and son of the legendary Master Toddy. The practice and training of the martial arts for kids develops confidence and emotional strength that every young person needs growing up in today's world. We teach effective real world self-defense techniques to help the smaller and weaker defend themselves against bullies, or anyone that would seek to take advantage of them. Your kids will train in a safe, fun, friendly environment and learn lessons that they can take with them into adulthood to become stronger, more confident people. We have professional and amateur fighters in our academy. 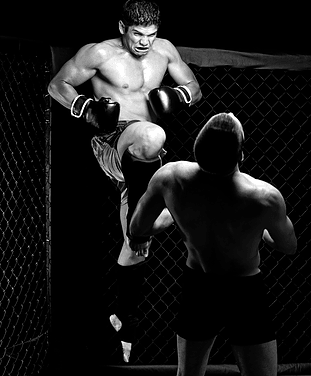 We cross train our fighters to give them the advantage in every situation. Let us know if you have an interest in fighting on our MMA team. We have guest wrestling coaches from all over the country coming to show our teams the very best in defense and offense against a seasoned wrestler. A good fighter is an all around fighter. We make the best coaching available to all of our students. Boxing is a very effective way to defend yourself. For health/cardio, for all the benefits gained from being a stronger, faster, and better athlete, our boxing programs are customized for everyone. We can train the beginner, the cardio enthusiast, kids, up through jr. boxing, amateur and pro fighter levels. Our boxing coaches are some of the best in the world.